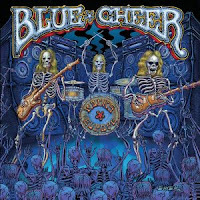 Known as one of the founding bands of Heavy Metal music, Blue Cheer hit it big in 1968 with their guitar drenched cover of “Summertime Blues.” After a career that lasted over 40 years, Blue Cheer is releasing their final chapter, “Rocks Europe” on May 28 through Rainman Records. The two-disc set features the entire live show from April 11, 2008 which was performed for Germany’s Rockpalast television show. It would be the band’s final tour as founding member Dickie Peterson would pass-away in 2009. The band’s final studio album was released in 2007 and even still they carry that full-deep sound powered by Peterson’s bass as in “Maladjusted Child.” The first disc closes with a seven-minute jam on their biggest hit “Summertime Blues.” On the second disc, they pay respects to the bluesmen of the past with a raunchy version of Albert King’s “The Hunter,” before closing with two recently discovered studio outtakes, “Alligator Boots” and “She’s Something Else." 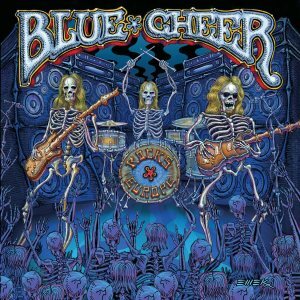 Fellow hard rock trio, Rush consider Blue Cheer one of the first heavy metal bands and stated that their music “left deafening echoes in a thousand other bands in the following decades.” For more information, please check out rainmanrecords.com/c-62487-artists-blue-cheer.html.